particularly stable against tilting, made of soft plastic (PVC), colour: orange/white. 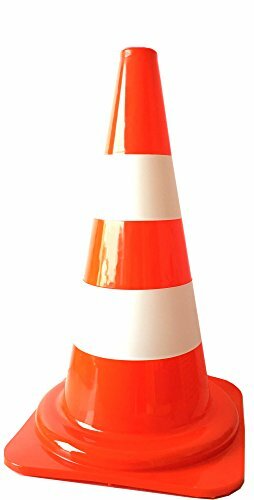 Dimensions: Height of the traffic cone 50 cm, base (surface): 29 x 29 cm, opening at the top (internal dimensions: 38 cm). recreational use, for example Sport DOG, car parks, events, marking work. Mobile pylons for a range of uses, for example for private parking and safety areas or, in the leisure industry.